There are a million different ways to spend your time on holiday, but there's one inevitability: at some point, you are going to need to eat. Being dropped into new territory can be exciting, but it can also be daunting. While at home you know the lay of the land, on holiday you can often be left guessing as to what's good. Fortunately though, thousands of people have been in the same boat before you, and many have been kind enough to point you in the right direction. These are what they selected as their favourites. 5) Beginning our list is the Hawkins Arms. The old coaching inn sits in Probus - a village sitting between Truro and St Austell and only a 15 minute drive from either. Once you arrive, you are welcomed by a friendly and attentive staff and can settle down with a drink. This is the village local, with a beer garden, pool room and even the occasional live music act, serving various beers from the St Austell brewery down the road. Their stated aim is "to offer restaurant quality, at pub prices" and they appear to be succeeding according to their customers. The presentation is often praised, but more importantly the food tastes good too, with a wide-ranging selection to ensure there is something for everyone. 4) If you don't want to trek off the beaten path, Oliver's is in the more accessible Falmouth. 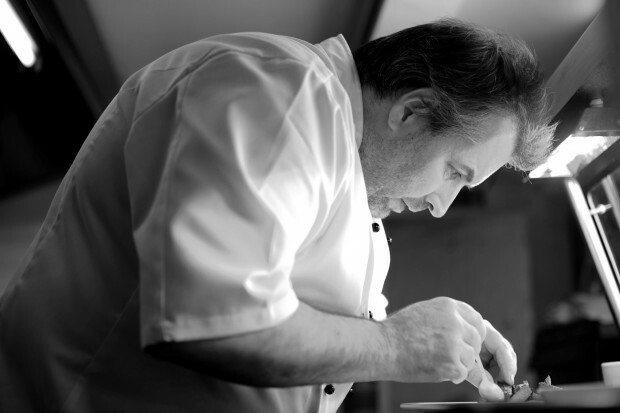 Chef Ken has had spells at The Dorchester and Hilton in London, however returned to his homeland to set up Oliver's Catering. A labour of love, the menu is always changing as he and his team find new ways to combine ingredients into new inventive dishes. Scotch egg with pheasant and black pudding with fig chutney, or grilled scallops and chorizo with tomato stew and a panko crust? Oliver's still caters to you if you are less adventurous with food, with a separate steak menu in case you just want an expertly cooked cut of meat with a side of chips. 3) Falmouth clearly has some healthy competition in its kitchens as a five minute walk away from Oliver's sits the even higher-rated The Wheelhouse. Seafood specialists, the selection of fish and shellfish is picked up from the local docks to ensure it's fresh, while the restaurant's owner also keeps a farm where they get their meat from, safeguarding its quality. It's a small place in a little backstreet with only a chalkboard hand guiding the way, so ensure you book ahead. Get a table and settle down under candlelight to smash open up your crab with a set of crackers. 2) We are back to a village for the next eatery, with Taste found in St Agnes - a parish between Newquay and Redruth. St Agnes is somewhat larger than the other villages on the list though, with beaches to traverse and St Agnes Beacon overlooking the Atlantic ocean, making it a worthwhile day out in itself. Lighter and airier than many of the other restaurants on the list, Taste is an excellent way to relax on the coast. It's recommended to book ahead due to its popularity, and it has its reputation for a good reason: with great tasting food served by attentive staff at good prices, many who come to Cornwall make the restaurant a repeat visit. 1) Topping the list is Chrissy's Tearoom. The owners say "we haven't got a Michelin Star and we shouldn't even be judged as a restaurant", but they clearly must be doing something right to be so popular. The petite cafe is open from 10 to 5 each day, serving High Tea from 3pm, and all their ingredients are locally sourced. Whether you want indulge your sweet tooth with a cake, fill up with a fresh sandwich or enjoy a homemade scone with jam and a cup of tea, you can pop by here if you are making your way through Perranporth. They also offer gluten-free options and ensure they are prepared separately from those with gluten for people who suffer from Celiac disease.